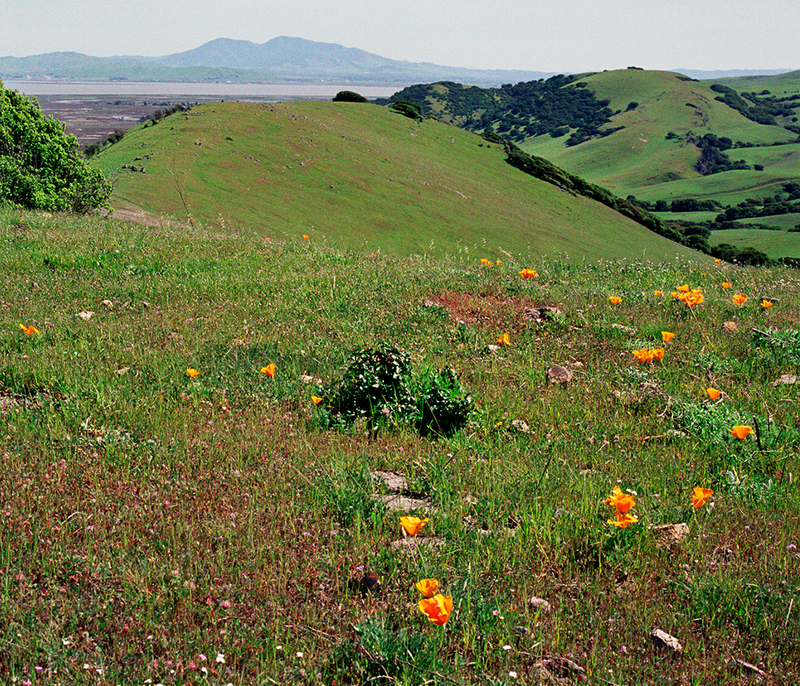 The King-Swett Ranches are a hidden treasure yet to be discovered by most Bay Area residents. 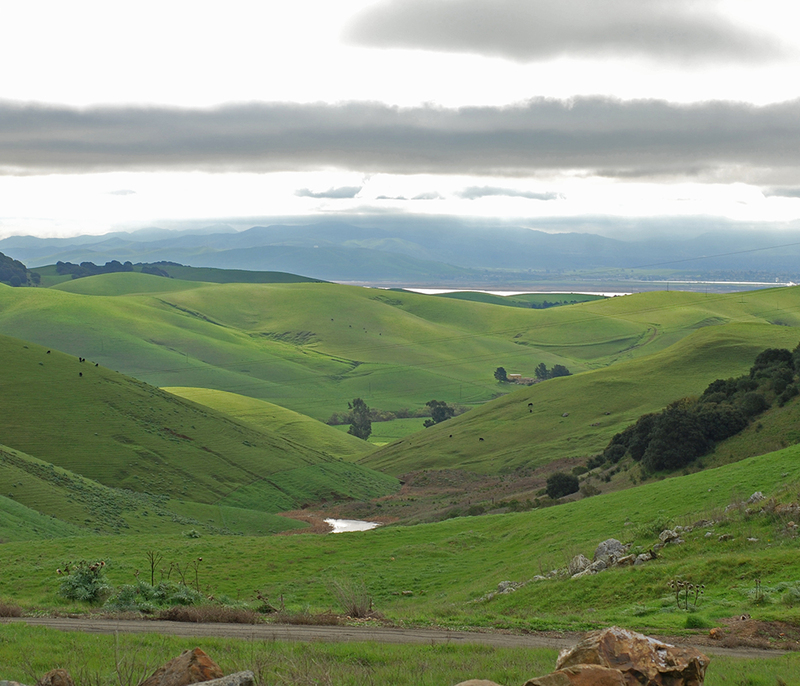 This nearly 4,000-acre expanse of land straddles the southwestern corner of Solano County. Views from atop King Ranch sweep across the Suisun Marsh all the way to the Sierras, with Mount Diablo rising to the south. On the western edge of Vallejo-Swett Ranch, views include the Golden Gate Bridge and Mount Tamalpais, the San Francisco and San Pablo Bays, and the Napa River and marshes. The steep hilly grasslands, oak woodlands and riparian corridors provide habitat for a wide variety of species, including many that are rare and endangered. Johnny jump-ups provide habitat for rare butterflies. Several ponds provide prime habitat for the endangered California red-legged frog. Slivers of serpentine soils support native grasses such as purple needlegrass, blue wild rye and numerous wildflowers. 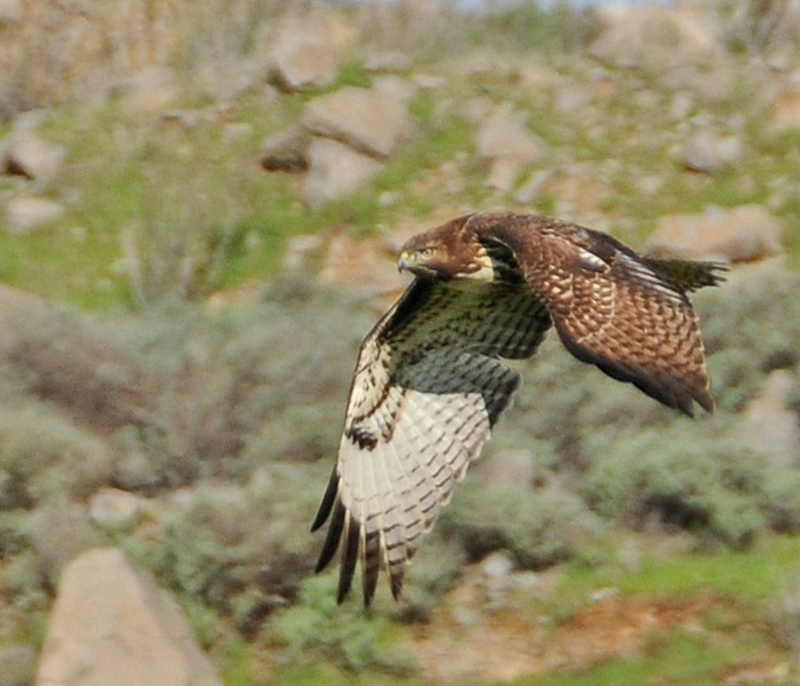 The hills are a raptor’s paradise where golden eagles, Northern harriers, burrowing owls, and Swainson’s, Cooper’s and red-tailed hawks scan the open grasslands for food. 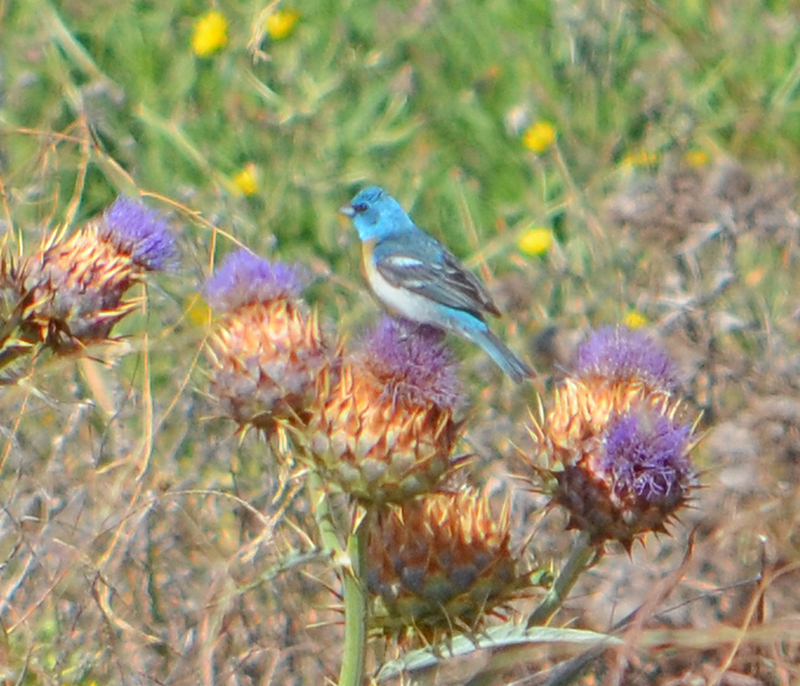 Birders will delight in spotting Northern orioles, towhees, Western bluebirds, Swainson’s thrushes, Western kingbirds, black phoebes, tree swallows, and western meadowlarks. Mammals include black-tailed deer, coyotes and ground squirrels. With an abundance of sensitive and endangered species, these lands serve as an important nature preserve. PG&E purchased the ranches in 1980 as a potential windmill site, and continues to be involved with restoration activities. 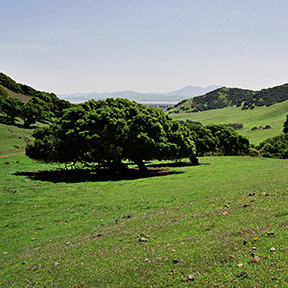 When Solano Land Trust purchased the Vallejo Swett Ranch in 2005, it completed a three-parcel purchase—with Eastern Swett and King Ranches—from PG&E that began in 2001. 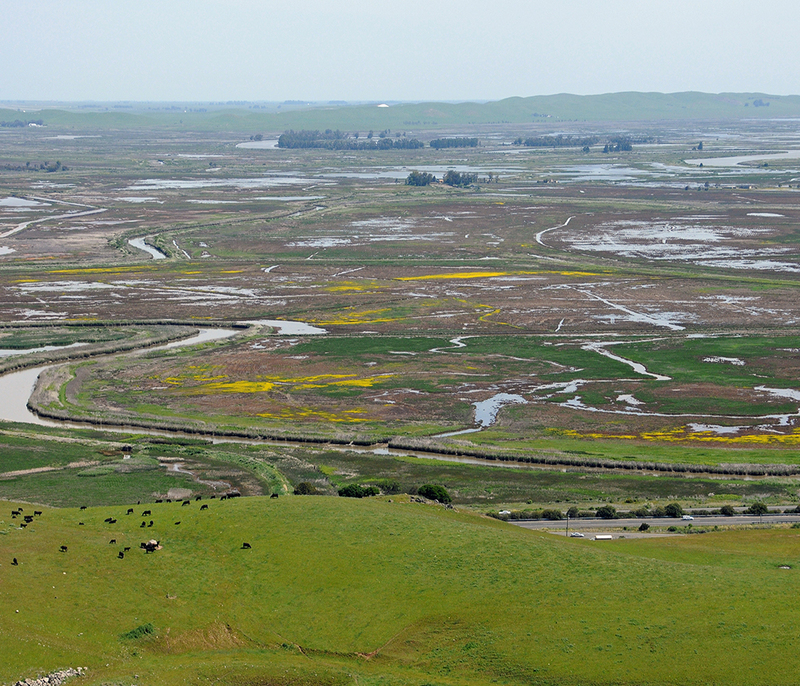 This acquisition by Solano Land Trust was the realization of a plan begun in 1992 by a coalition formed to preserve 10,000 acres of land as a buffer zone between the cities of Benicia, Fairfield and Vallejo. The purchase of the properties was made possible with generous grants from the Coastal Conservancy, the Wildlife Conservation Board, the Gordon and Betty Moore Foundation, the three cities, and the County of Solano. 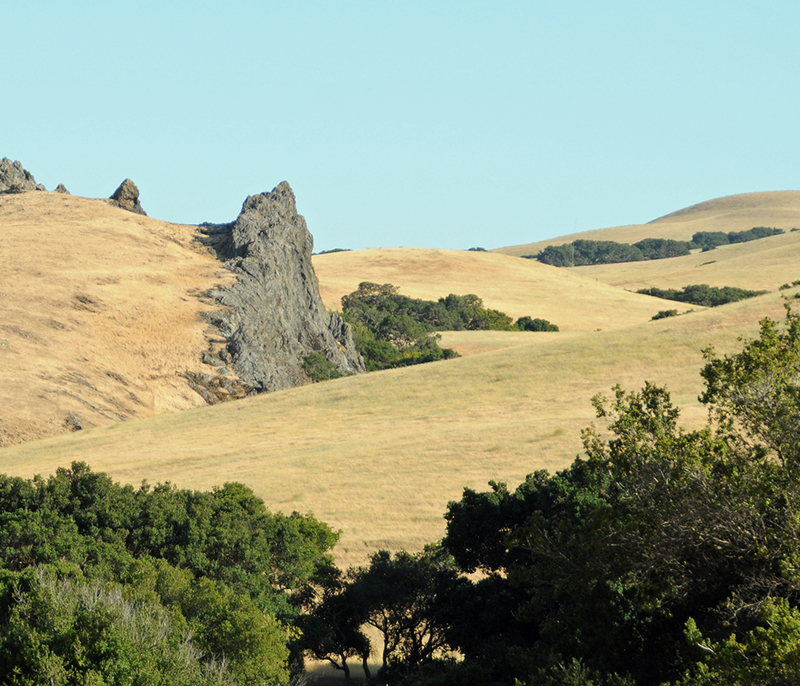 Solano Land Trust's resource management plan protects natural, agricultural and cultural resources, maintains cattle grazing, and invites the community on docent-led hikes. The properties—also referred to as Sky Valley-Cordelia Hills Open Space—are located between Interstates 680 and 80 near Fairfield (to the northeast), Benicia (to the south) and Vallejo (to the west). The King-Swett Ranches are currently open to the public for staff- or docent-led activities only, please see our Events Calendar for scheduled activities.